By the students, for the students! A celebration of student creativity and achievement. Please select your choice from the drop-down menu. 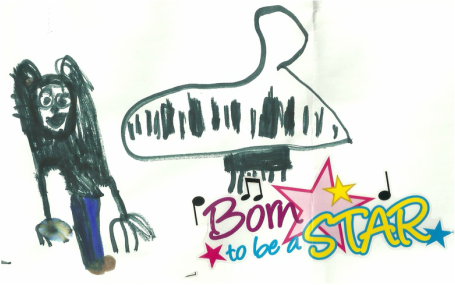 Piano drawing by Adriana, age 6.